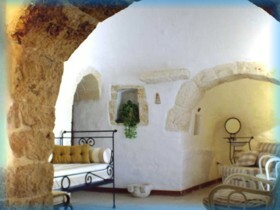 "La Trullarella" is a typical Apulian country house placed in the Itria Valley. It is surrounded by a two hectar area where olive and cherry trees grow. from the by now known Zoo Safari. 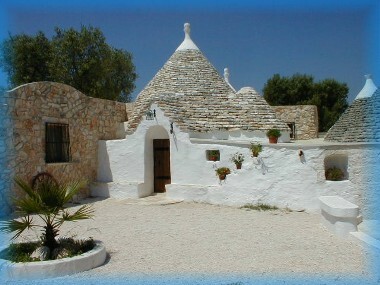 vine-trellis, where you can enjoy the magic of the Apulian country. 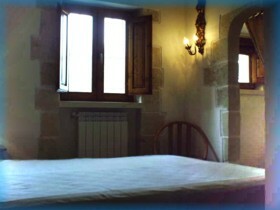 The Lamia elegantly furnished, it is suitable for 5 people . 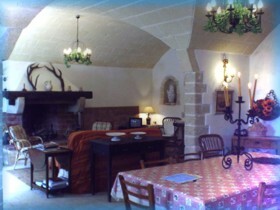 It has living room with sofa bed (double), a dining room, a kitchen, a bathroom and a double bed room. and a double bed room with bathroom. In offers: tv, washing-machine, electric stove, barbecue and heating.